Zerona™ LipoLaser is one of the newest procedure designed specifically to address fat reduction and body contouring. Zerona™ LipoLaser treatments are administered in relaxing 40 minute sessions. 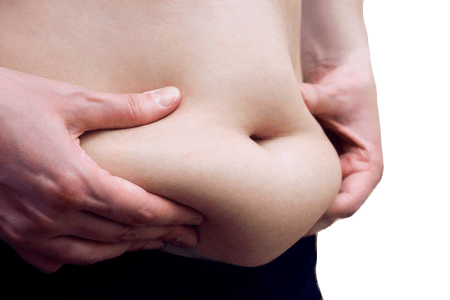 The Zerona™ LipoLaser is a non-surgical procedure that enables the reduction of several inches of body fat without the pain, swelling and extensive recovery time typically associated with liposuction or fat reduction surgery. By directly targeting adipose (fat) cells the Zerona™ LipoLaser offers a safe and effective fat reduction solution. How does the Zerona™ LipoLaser work? Zerona™ LipoLaser is a laser -based fat reducing and body contouring system that is 100% non-invasive to your body. The Zerona™ LipoLaser offers the relaxation of a 40-minute massage with the benefits of losing inches of body fat! Rather than painful surgery, the Zerona™ LipoLaser uses light energy to safely (and painlessly) penetrate the skin and specifically target fat cells. It is through this process that the Zerona™ LipoLaser causes the cell to release free fatty acids, and glycerol (also known as Triglycerides). When the triglycerides are released from the fat cells, the fat cells collapse, resulting in a noticeable reduction in body inches. Are Zerona™ LipoLaser Treatments Safe? LipoLaser therapy has been used safely in various medical applications since the 1980s. Tens-of-thousands of patients have been treated and no significant adverse effects have been reported. What Areas Can Be Treated wth Zerona™ LipoLaser? Zerona™ LipoLaser can be used practically anywhere on the body where there is fat: your belly, love handles, hips, thighs, saddle bags, buttocks, knee pads, double chin, face, neck, undereyes, arms, back and even ankles can be treated. Why Forever Young And Trim? The consultants at Forever Young And Trim have extensive experience in the use of low level laser therapy and weight loss . The approach is a comprehensive solution to ensure that you receive the best possible care and results. The staff is friendly and informative answering any and all questions that you may have. Our no-pressure initial consultation will make you feel welcomed, well informed and will not leave you feeling pushed or threatened as is the case in many hi-pressure sales organizations. The goal of Forever Trim is to provide exceptional care and value so you are more than happy to provide our name to others that you know. Our customer care and satisfaction is the most important aspect of our business. How Does Zerona™ LipoLaser Differ from Liposuction or Smart Lipo? The Zerona™ LipoLaser was initially designed to be used as a tool to assist physicians in breaking down the fat prior to traditional Liposuction surgery. Liposuction is an invasive surgery while Zerona™ LipoLaser Treatments are not. How long are the Zerona™ LipoLaser treatments and how many treatments will I have? Treatment sessions are about 40 minutes per body region treated. Treatments will be scheduled two times weekly for three weeks – a total of at least six treatment sessions are recommended. Another round of treatments may be performed if additional fat reduction is desired. The Zerona is safe to use for as many treatments it takes to achieve your goals. How long has the Zerona™ LipoLaser been in practice? The laser technology used in the Zerona™ LipoLaser has been used to liquefy fat by doctors since the 1980’s. Lipo-reduction with low level laser energy has become common place in cosmetic procedures worldwide. Can The Zerona™ LipoLaser get rid of the belly I gained from childbirth? Yes!The Zerona” LipoLaser is perfect for targeting the areas with stubborn fat that persists after childbirth. However, we do not recommend that you have LipoLaser treatments if you are currently pregnant. Do Zerona™ LipoLaser treatments work on men? Zerona™ LipoLaser treatments are just as effective in men as they are in women.